Dr. Chip Colwell is Senior Curator of Anthropology at the Denver Museum of Nature & Science. He has held fellowships with the American Academy of Arts & Sciences, National Endowment for the Humanities, and US Fulbright Program. He has published more than 50 scholarly articles and chapters, and 9 books. 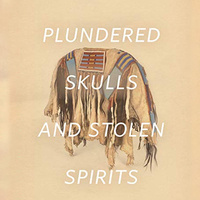 His work has been highlighted in such venues as The New York Times, The Denver Post, Archaeology Magazine, and garnered numerous awards, including the National Council on Public History Book Award. He is the founding editor-in-chief of SAPIENS, an online magazine dedicated to anthropology for the public.